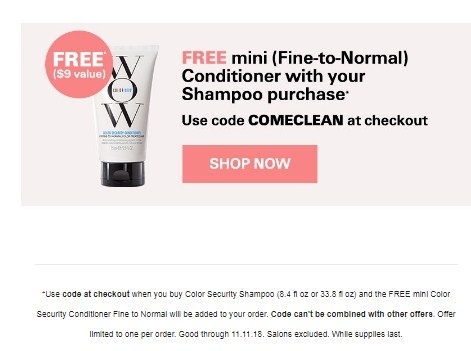 sarah flip Use code at checkout when you buy Color Security Shampoo (8.4 fl oz or 33.8 fl oz) and the FREE mini Color Security Conditioner Fine to Normal will be added to your order. Code can't be combined with other offers. Offer limited to one per order. Good through 11.11.18. Salons excluded. While supplies last.